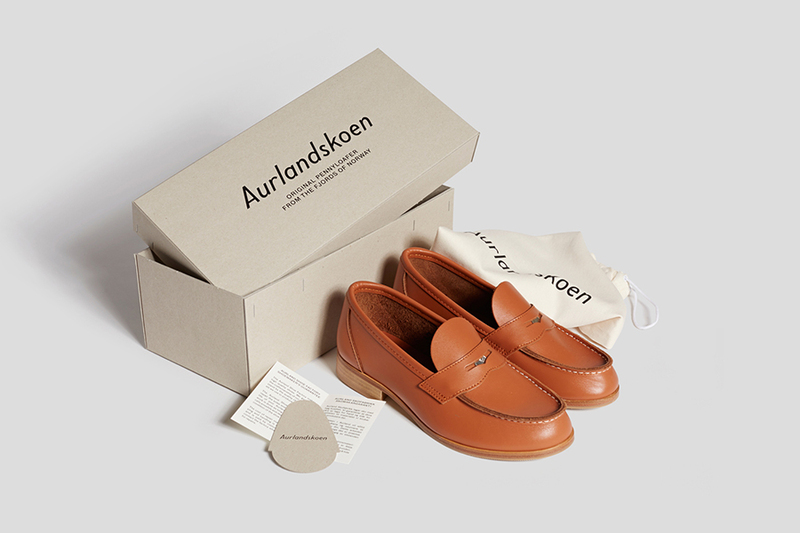 After spending time in America shoemaker Nils Tveranger created the iconic shoe-shape of Aurlandskoen, a merge of the old norwegian Teseskoen and the moccasin. 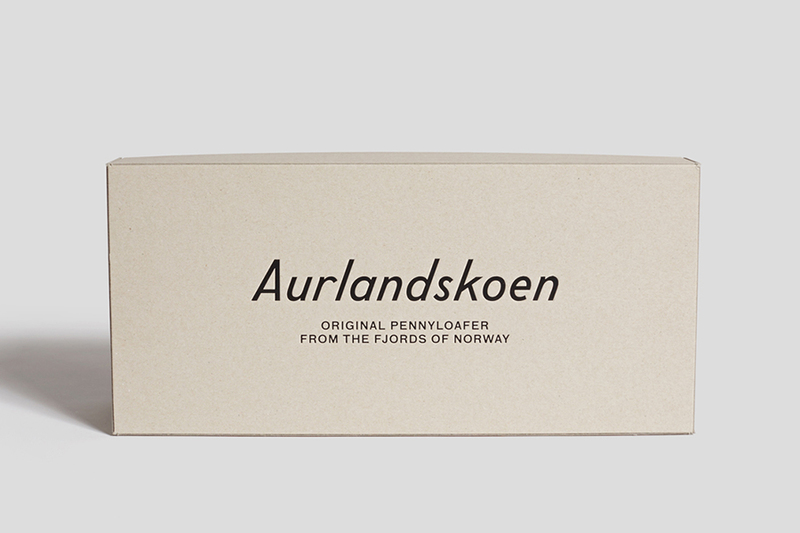 The village Aurland produced at its peak in the 50s close to 100.000 pairs a year. 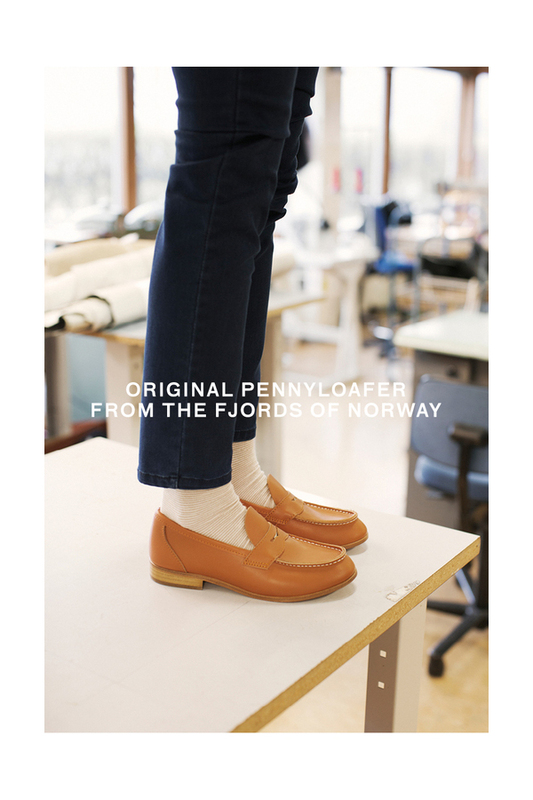 Norwegians travelled to America during the 30s (wearing this shoe) and a leading american shoe manufacturer made their own version naming their new loafers: 'Weejuns', short for Norwegians. 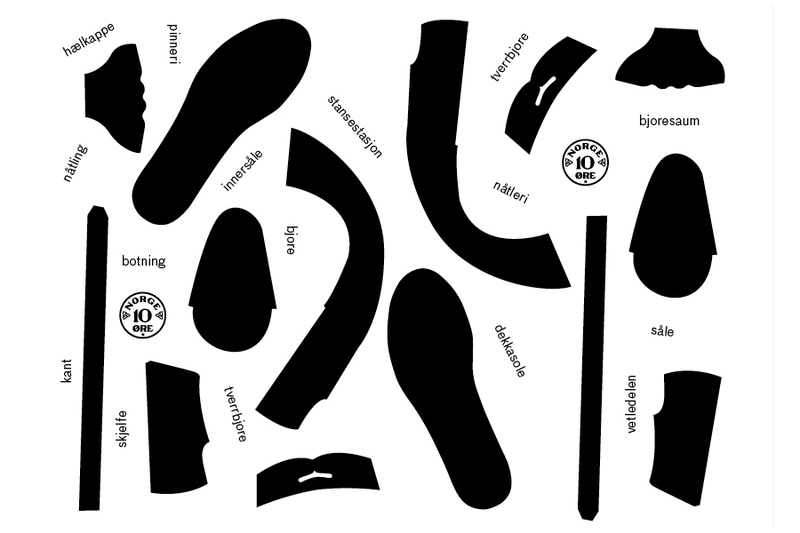 The shoes are still handmade in the factory in Aurland. 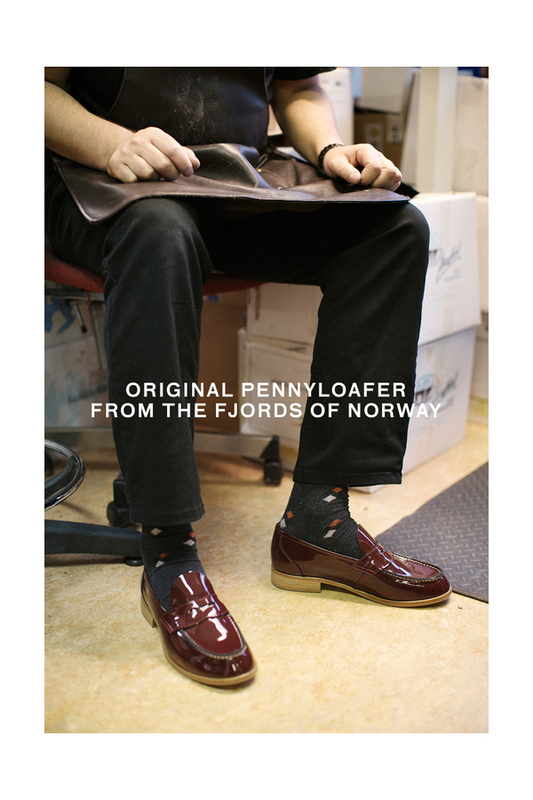 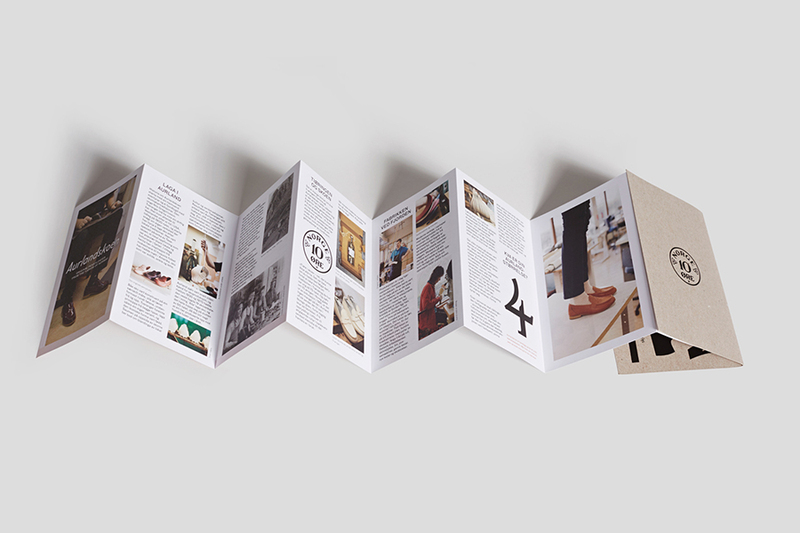 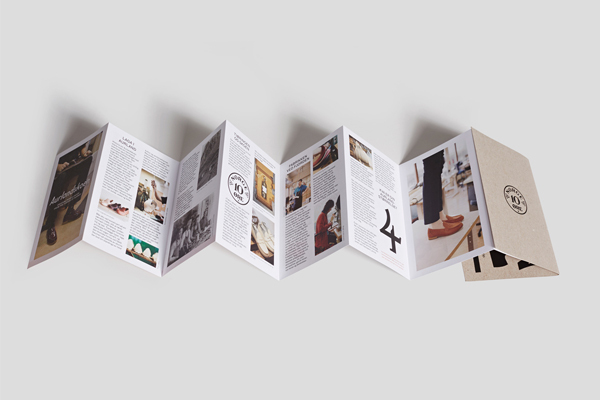 We worked to create an identity that will reintroduce the shoe as the original pennyloafer (a great story that so few had heard). 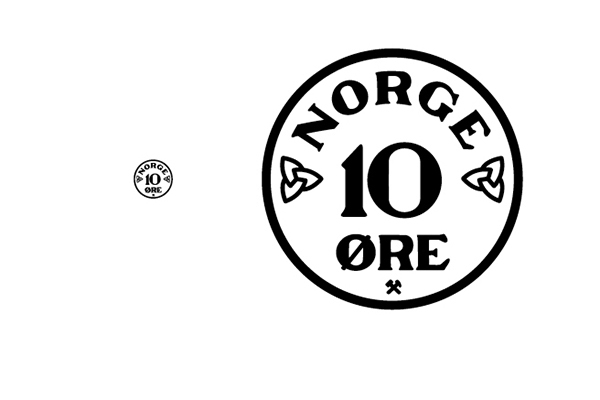 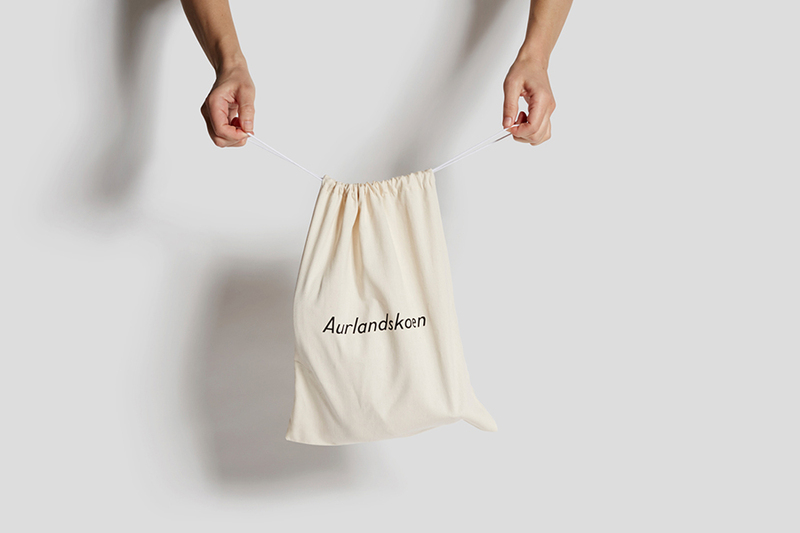 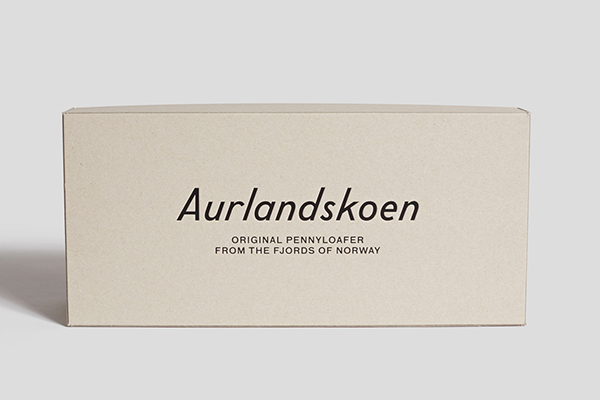 The Aurlandskoen logotype was drawn by designer Ian Brown, inspired by an old Aurland Skofabrikk sticker found in the factory. 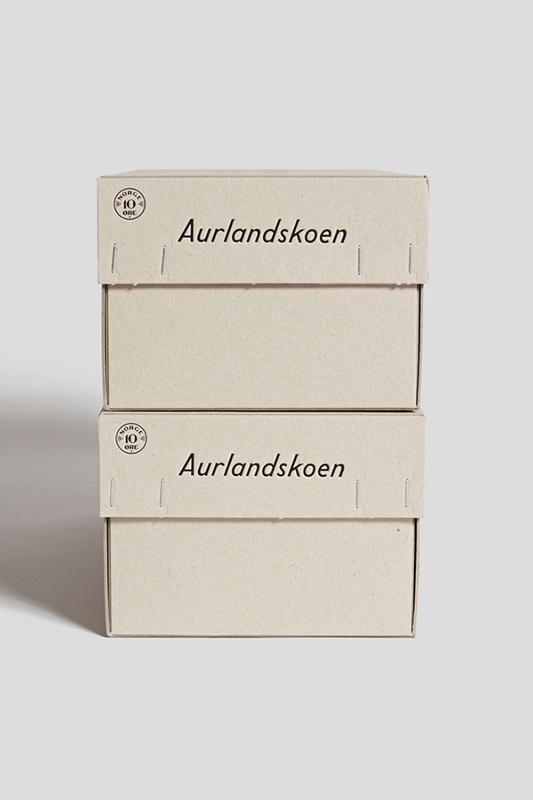 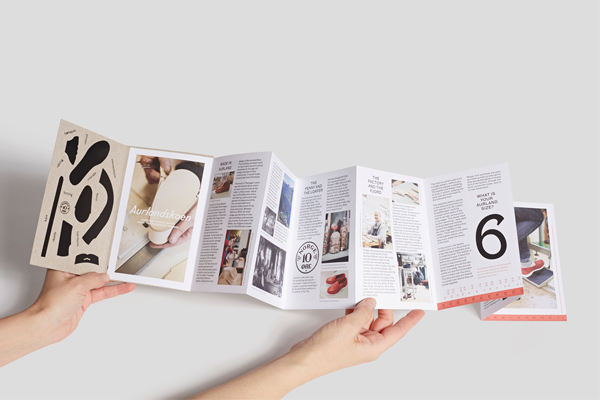 Aurlandskoen has their own sizing system and instead of hiding this fact, we chose to celebrate it by asking Ian to draw a family of numbers for the sizes printed prominently inside the shoe. 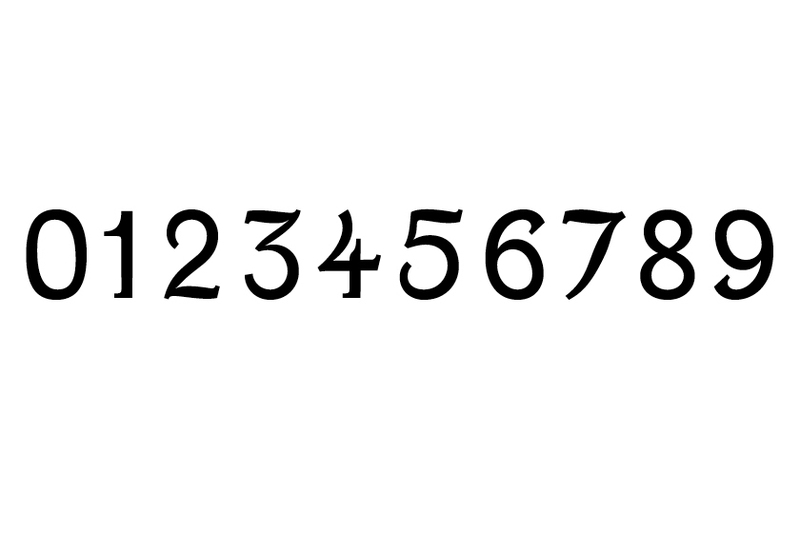 Handdrawn shoe size numbers inspired by Norwegian coins. 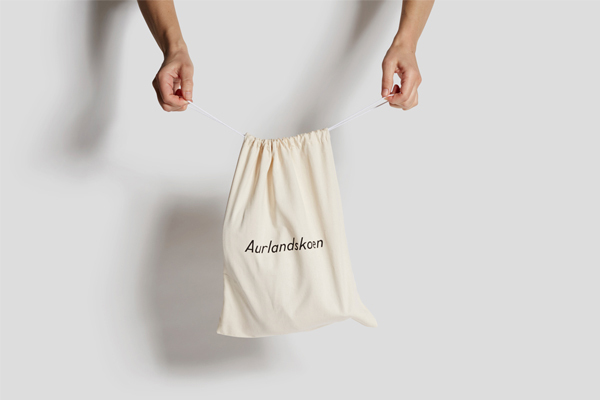 Product photography campaign shot in the Aurland Skofabrikk. Photo: Märtha Thisner.